As executive vice president of law, policy & governance and chief legal officer at the NCAA, Donald M. Remy serves as a key legal, policy and strategic advisor to the NCAA president, members of the senior management group, and the divisional governance cabinets, committees and boards. Remy manages and oversees the NCAA’s staff that supports the legal, government relations, governance, infractions and sport science programs. Further, he specifically is responsible for guiding an efficient governance structure for Divisions I, II and III, assuring proper adjudication of infractions and assessing the NCAA’s immediate and long-term legal challenges and needs. Remy guides key litigation and contract negotiations while building and maintaining productive relationships with local and national policymakers. 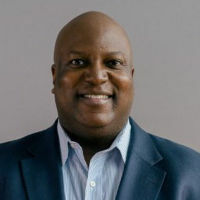 He is involved in crafting and advocating appropriate policy positions on various issues including academics, amateurism, athletics competition and health and safety while ensuring his reporting departments are servicing and supporting student-athletes, the NCAA and member institutions. Before joining the NCAA, he was a partner at Latham & Watkins and chair of a global practice group, representing both individuals and corporate clients in sophisticated investigations and proceedings involving compliance with international business statutes. In addition, he litigated complex civil lawsuits, advised on crisis management and assisted companies in disputes involving contracts with the federal government. Remy also held high-level positions in the government and corporate environment, including deputy assistant attorney general at the Department of Justice; assistant to the general counsel of the U.S. Army; law clerk to the 6th U.S. 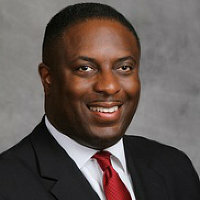 Circuit Court of Appeals; and senior vice president, deputy general counsel and chief compliance officer at Fannie Mae. He developed defense and justice positions for the U.S. Presidential Transition Team. 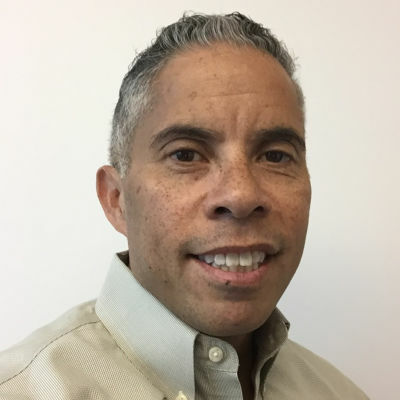 He also spent many years volunteering as an Amateur Athletic Union basketball coach in the Washington, D.C. area and serving on boards of many non-profit organizations. The Louisiana native has a bachelor’s degree in political science from Louisiana State University, where he graduated with honors and was commissioned as a second lieutenant in the U.S. Army. He received a juris doctorate from the Howard University School of Law, where he graduated top of his class. General Counsel and Chief Compliance Officer of DHL’s Supply Chain operations throughout the Americas. 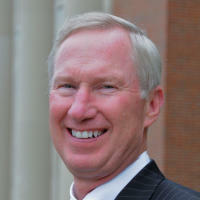 Also serve as global Chair of the organization’s supply chain legal practice group. Responsible for leading the legal, commercial contract management, government incentives, and compliance teams in the America’s region. Leslie T. Thornton is the Senior Vice President, General Counsel and Corporate Secretary of WGL Holdings, Inc. (“WGL”) and Washington Gas where she is responsible for developing, coordinating, and providing legal advice and counsel to WGL and all its subsidiaries on matters including, but not limited to, litigation, regulatory affairs, business transactions, employment and labor law, employee benefits, executive compensation, ethics, compliance, cyber-threats/cyber-security, mergers and acquisitions, and crisis management, among others. At the chairman’s request, Ms. Thornton serves on WGL’s Strategy Council, Risk Management Committee, Anti-Fraud Committee, and SOX Management Committee. An NACD Board Leadership Fellow, Ms. Thornton has also served on the board directors of Career Education Corporation for over ten years chairing the Compliance Committee and serving on Nominating & Governance. She was Lead Independent Director from 2011-2013; currently she continues her chair and also sits on the Audit Committee. 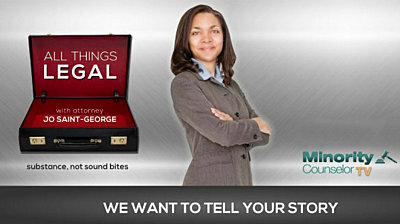 Prior to joining WGL, Ms. Thornton was as a partner at Dickstein Shapiro LLP and Patton Boggs, LLP. At Dickstein, Ms. Thornton conducted and managed sensitive, high-level internal corporate, federal government, and state attorney general investigations. At Patton Boggs, Ms. Thornton advised and represented clients before regulatory agencies and helped support their strategic efforts before Congress and the White House. Beginning with the Presidential Transition of 1992 and until 2000, Ms. Thornton served in the Clinton Administration where she worked with U.S. Secretary of Education Richard W. Riley, first as Deputy Chief of Staff and Counselor, and then as Chief of Staff. During her nearly eight years, Ms. Thornton was selected by the White House in 1995 to serve on the President’s White House Budget Working Group when the government shut down, and in 1996, she served in a senior role on Mr. Clinton’s presidential debate team. Holding a top secret clearance, Ms. Thornton was also her agency’s representative for the Continuity of Operations of Government program. Ms. Thornton is often a requested speaker on directorship, general counsel practice, diversity and cyber security issues, and has been widely published in newspapers and other outlets including the Boston Globe, Wall Street Journal, and Legal Times/National Law Journal. 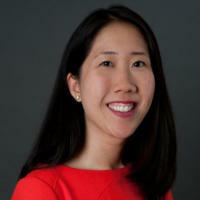 She co-authors a treatise chapter on data privacy and cybersecurity in the Thomson Reuters/West Law series entitled Successful Partnering Between Inside and Outside Counsel. This year, Ms. Thornton completed her LL.M. in National Security Law at Georgetown Law, received MCCA’s Innovator Award, Savoy Magazine’s top 300 Directors recognition and Inside Counsel’s Transformative Leadership “Catalyst for Change Award.”In addition, Ms. Thornton’s legal department won the 2016 Community Service Award, the Board of Directors of ACC National Capital Region. Ms. Thornton received her B.A. from the University of Pennsylvania and her J.D. from Georgetown University Law Center. 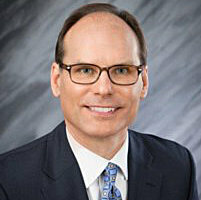 Mark Roellig is Executive Vice President and General Counsel of Massachusetts Mutual Life Insurance Company (“MassMutual”), the parent company of a global, growth-oriented, diversified financial services organization, listed 76th in Fortune’s ranking of America’s largest corporations with more than $675 billion in total assets under management. MassMutual is headquartered in Springfield, Massachusetts. 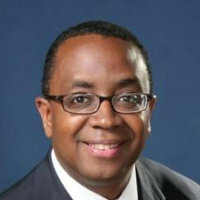 In his capacity as MassMutual’s General MassMutual Financial GroupCounsel, Mark is responsible for all the legal affairs of the Company and advises management and the board of directors to ensure that MassMutual complies with corporate-governance requirements and safeguards the interests of MassMutual’s policyholders. 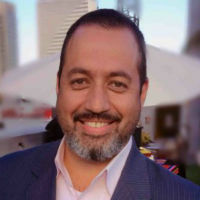 He is also responsible for the corporate secretary, corporate compliance, internal audit, government relations and the Corporate Business Resources and Real Estate and Facilities Departments of MassMutual. 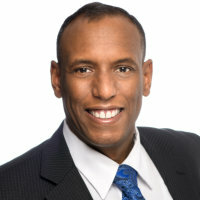 Prior to joining MassMutual in 2005, he served as general counsel and secretary to three public companies before their sale/merger: Fisher Scientific International Inc., Storage Technology Corporation (“StorageTek”) and U S WEST Inc. 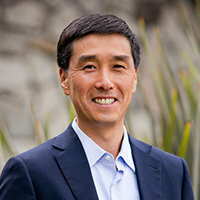 He received his bachelor’s degree in mathematics from the University of Michigan, his law degree from George Washington University and his MBA from the University of Washington. 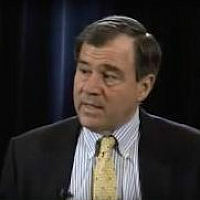 Bob is Senior Vice President, General Counsel and Corporate Secretary of Abercrombie & Fitch. Bob has global oversight and management responsibility for all legal, compliance, ethics and regulatory strategies, services, and resources, corporate governance matters and the corporate secretary function. Abercrombie & Fitch Co. is a global specialty retailer of high-quality, casual apparel for Men, Women and kids under the Abercrombie & Fitch, Abercrombie, and Hollister Co. brands. The company operates stores in the United States and across Canada, Europe, Asia, and the Middle East. The Company also operates e-commerce websites. Bob is also a member of the Board of Directors of NeuLion, Inc. which is an internet television technology innovator listed on the Toronto Stock Exchange. Bob joined Abercrombie & Fitch from Greenberg Traurig where he was Co-Chairman of the Financial Regulatory and Compliance Group and previously was with SNR Denton where he was Co-Head of the Global Financial Institutions and Funds Sector. Before that he served as Executive Vice President, General Counsel and Corporate Secretary of Freddie Mac from February 2006 to July 2011. 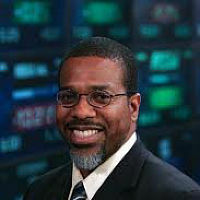 In his role as principal legal counsel to Freddie Mac, Bob had oversight and management responsibility for all legal and regulatory strategies, services, resources and corporate governance matters. Bob oversaw Freddie Mac’s response to multiple inquiries and investigations initiated by Congressional committees, the SEC and other Federal regulators, as well as to multiple securities class and derivative actions. As General Counsel of Freddie Mac, Bob played a pivotal role during the financial crisis and recovery directing Freddie Mac’s legal strategy through the conservatorship, investigations, enforcement actions and litigation. 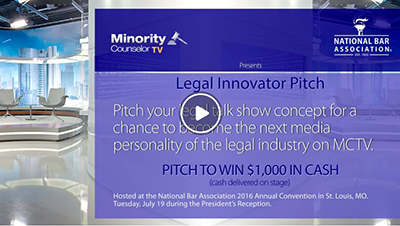 Bob was selected by The National Law Journal as among Washington’s most influential in-house counsel in 2011, the recipient of the General Counsel of the Year Award by the International Law Office and the Association of Corporate Counsel in 2015, and Freddie Mac, under Bob’s leadership, was recognized by Corporate Counsel magazine, as among the Best Legal Departments in 2011. Stacia is an experienced labor and employment litigator, advisor and manager. She worked eight years as outside counsel to a number of large companies in a variety of industries, including food, retail, manufacturing, and health and social services. 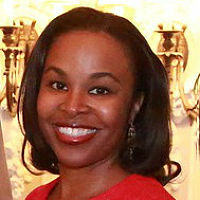 She currently works as the head employment attorney for a large global retailer, Abercrombie & Fitch, where she advises, trains and partners to create and implement policy on domestic and international labor, employment and other matters, including health and safety, public accessibility, diversity and inclusion, store construction and design, and loss prevention. 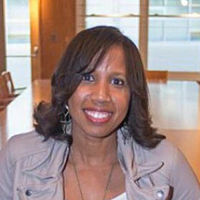 Stacia also leads Abercrombie & Fitch’s global Office of Diversity & Inclusion. Stacia is responsible for strategies, programs and initiatives that impact Abercrombie’s associates, consumers and vendors in 22 countries. 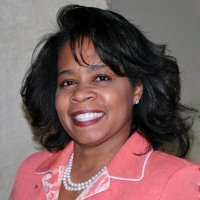 Whitnie H. Gladden is a multidisciplinary corporate executive and lawyer with significant experience in global legal compliance, diversity and employment issues. She has particular expertise with advising senior management and leveraging substantial knowledge of global employment law, ventures and acquisitions, recruitment and human resources to devise and implement practical legal solutions to business issues. Whitnie is committed to community service and spends a considerable amount of her time mentoring others and finding ways to level the playing field. Whitnie is currently Employment Law Counsel, Global Support for Contracting and Ventures & Acquisitions at Accenture LLP. She provides global support on acquisitions, divestitures and joint ventures on issues including; risk analysis of the target in light of due diligence undertaken, transition and retention of acquired personnel, contracting approach on employment and HR issues (including strategic input to negotiations and guidance on contractual documents), integration and post-merger planning. Whitnie spent the first seven years of her career at Accenture as North America Employment Law Counsel where she was a trusted advisor to corporate stakeholders on state and federal employment laws. Whitnie is well-known at Accenture for her stellar employment law training to executives across the United States and serves on the company’s North America Diversity Committee and the Global Alternative Fee Arrangement Advisory Committee. Prior to joining Accenture LLP, Whitnie represented a number of private and public employers in employment litigation matters at Franczek Radelet, P.C. She began her legal career at Schiff Hardin LLP where she practiced Employee Benefits law. 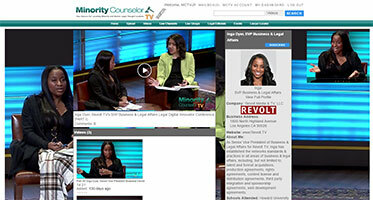 In addition to her service to MIHCA, Whitnie is a member of the Delta Sigma Theta Sorority Inc., the National Employment Law Council, Black Women Lawyers’ Association, and other legal and community service organizations.